I could fax a picture or form from my phone. Why doesn't this exist? No one uses fax machines anymore? Don't exactly what you have in mind but these apps exist. Because most people live in the 21st century. eFax. It's not the easiest to use but it worked the last time I used it. I don't check back on threads. If you have a question, IM me. Fax machine? Do I look like a savage? Does faxzero work from a smartphone? I'm Commander Shepard, and this is my favorite forum on the Citadel. Camscanner app. Works great. It's a charge to fax but since nobody uses faxes anymore it's worth it when you need it. What's a fax? Is it like email? and send it as either Email, or as Text message. There are now far more smartphones in use, throughout the world than there are dusty old FAX machines, connected to copper telephone lines. If the party to whom you are communicating REALLY NEEDS to receive your information via FAX, because they have no reasonable alternative, it is probable said organization has NOTHING you need. What the hell OP?? There's a shitload of those apps in the App Store. there are like 100 apps that do that. Dr's office sends fax, I fax my lawyer. Medical records from my local hospital released to one of my Dr's, done by fax. Uses for fax are still around. The fax, ma'am, just the fax. Many court clerks offices require requests to be faxed. 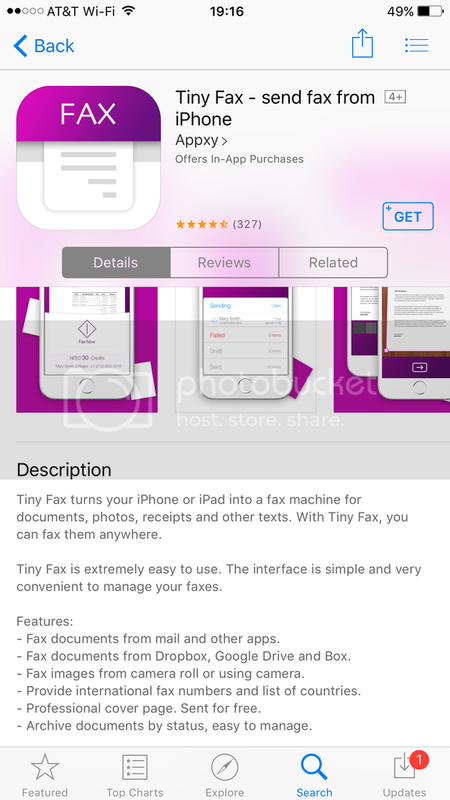 There are several apps that allow you to email to a fax number. Faxes won't die. I'm an IT consultant and have several Dr's offices that still use fax machines. They have to keep then due to agencies and insurance company requirements. Faxes are used for several reasons. A signature on a fax is considered legal and recognized by law, whereas an e-signature on an email is not. Faxes are inherently more secure. A fax can only be intercepted by actually accessing the physical phone line, or either end terminal. Plus, even if a fax is intercepted, it will simply appear as noise. Also, a fax is actually an image file, so there is not a risk of a fax transmitting or containing a virus or malware. "Two wrongs don't make a right, but three lefts do."